All Hemlock Canoe products are sold F.O.B. Hemlock, NY, USA. Orders picked up in Hemlock will be assessed an 7.5% New York State (Ontario County) Sales Tax. Shipment via a Specialty Paddlesports Carrier Service is available. We recommend KAS Transport, Macedon, NY. Steve and Kathy Skinner, 855-452-9256 , quotes@shipyourkayak.com . Incidence of transport damage with KAS is almost non-existent. They offer service to most US destinations and schedule trips approximately every 30 - 60 days, depending upon volume. 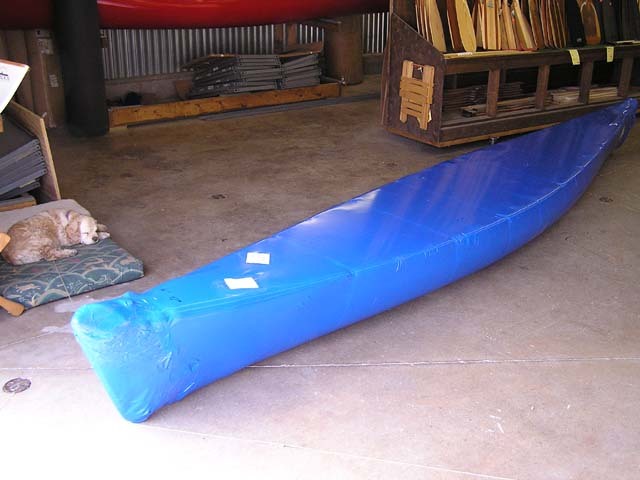 Boats are wrapped upon pick up here and KAS will unwrap and inspect with you upon delivery. We will contact you when the shipment leaves here and KAS will contact you from the road to arrange a meeting point. It is best if you can meet them at a convenient location to accommodate their transport equipment. We may also be able to transport canoes on our truck and trailer depending upon our travel schedule. Rates are competitive with Specialty Carrier Freight Rates. & address for current Shipping Rate Quote.